The Red team beat the White, 24-13, in the annual Red-White spring game. LINCOLN, Neb. 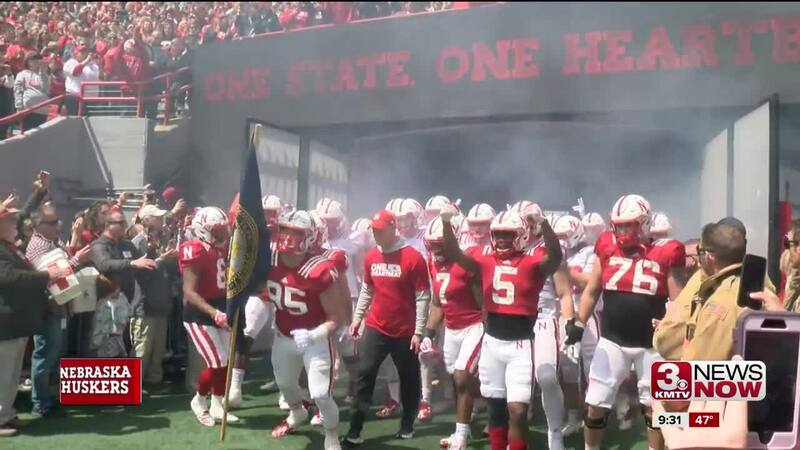 (KMTV) — In front of the 2nd largest crowd in Nebraska spring game history, the Red squad beat the White, 24-13, on Saturday at Memorial Stadium. The attendance was 85,946 falling just short of last year's total in Scott Frost's first season as NU head coach. The Huskers open the 2019 season at home against South Alabama on August 31. This spring, the football team sold T-shirts that read 'One State, One Heartbeat' to help flood victims. The university announced more than $162,000 was raised for flood relief. The team brought in more than $106,000 off of the t-shirts and fans donated around $32,000 in cash at Saturday's game. The proceeds will help Nebraskans in need recover from the flooding. Click on the video above to see highlights and hear from the Huskers.